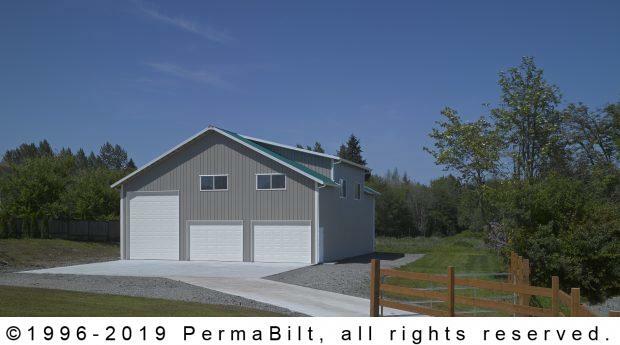 Often times our clients require a post frame building, however they are unsure of the design and steps involved in attaining their dream. Same can be said when anyone is beginning to turn a dream into reality. We have an image of our goal and begin making steps towards accomplishing the desired outcome. 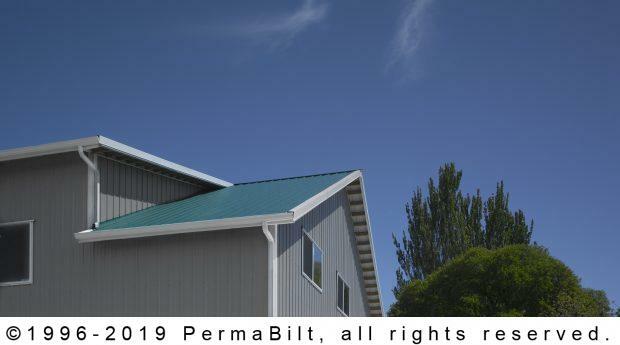 At PermaBilt® , we have a team of professionals to guide clients through steps of the building process. Initially, the client contacts us as to their needs. 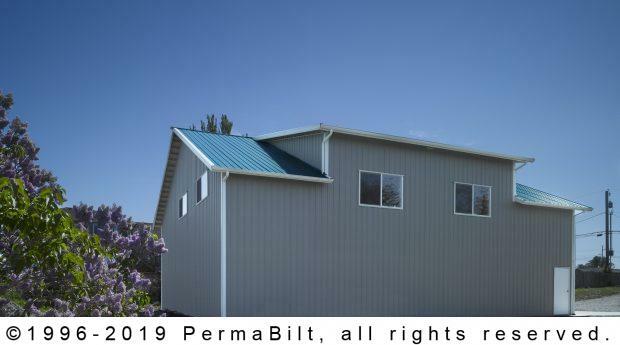 Our PermaBilt® Building Representative then meets with the client at the client’s property to discuss site and design options and answer any questions our client may have. 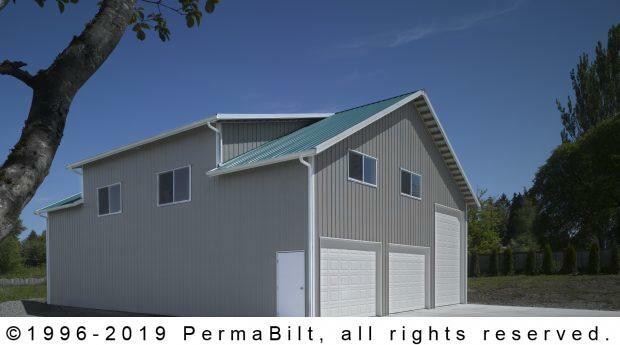 Then it’s financing the project (PermaBilt® is proud to offer the best combination of low interest rates, low fees and customer service available), drafting design plans, obtaining permits and scheduling the project. These steps came into play with this shop we designed and built for a Lake Stevens property owner. When the initial steps were complete, it didn’t take long and this man’s dream was reality. This customer worked in Alaska and was thrilled to have a “hands off” project. What a nice shop this turned out to be! (2) full bay dormers always help to make for a classy looking building. The shop featured a 50# 2nd story floor measuring 2/3 the size of the building. A 4’ L-shape staircase provided access to this loft. (6) Windows provided natural light to the loft and shop. 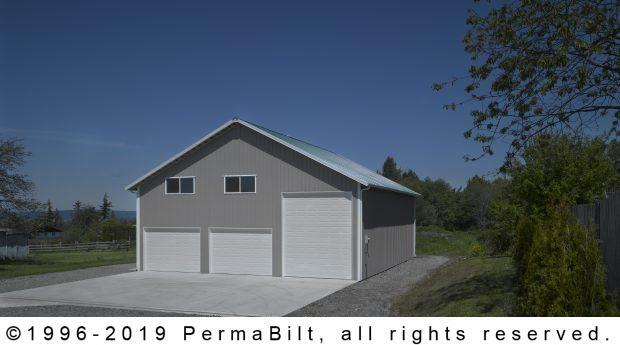 Overhead garage doors, (1) 12’ x 14’ and (2) 12’ x 8’), were insulated raised panel. Our client recognized the importance of adding 18” eave and gable overhangs, gutters and downspouts and a 10’ continuous flow ridge vent.